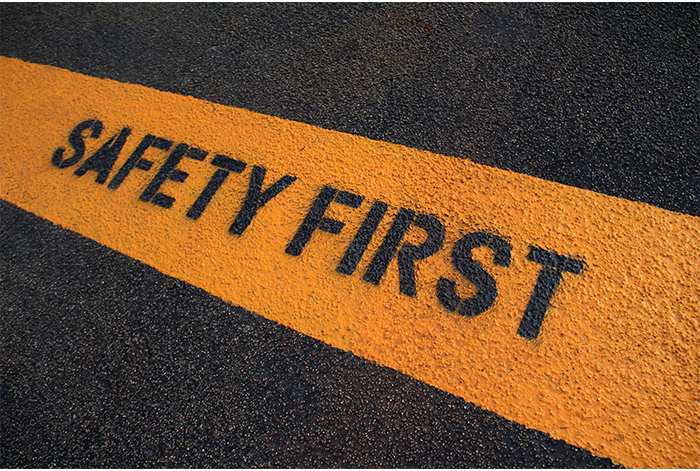 Several years ago, the ARTBA Foundation developed a training program for spotters and drivers/operators to improve safety around large trucks and other heavy equipment through better communication. The course describes a “sphere of safety” that spotters and drivers need to visualize around their work. This sphere requires vigilance for overhead hazards, underground dangers, and other surrounding risks. It is designed to protect both workers and the public, which pass through our project sites as motorists, cyclists, and pedestrians. ARTBA considers this sphere in all its safety offerings, which are designed and tailored especially for the transportation construction industry. Our members face many of the same hazardous conditions as other construction sectors. They also frequently must work next to moving vehicles, including large earth moving and paving equipment, cranes and derricks, large trucks, and non-construction traffic moving at high speeds within inches of the project. To help our members better meet these challenges, ARTBA launched in late 2017 the “Transportation Construction Safety Center” at www.artba.org/safety-center. It is the consolidated home for a suite of valuable programs, materials and services. Over 20 years ago, ARTBA established the National Work Zone Safety Information Clearinghouse. It has grown into the largest online transportation construction safety source in the world, fulfilling 200,000 information requests annually. Clearinghouse information is available whenever and wherever it’s needed at www.workzonesafety.org. Over five years ago, ARTBA began offering online training in a “learning management system” environment. Nearly two dozen courses, from basic safety to advanced education, are available through our agreements with the U.S. Federal Highway Administration. The training is available through the Safety Center, or also can be accessed via the Clearinghouse. Some of our offerings in the Online Learning Center (“Prep Course” at www.puttingsafetyfirst.org) are approved for Professional Development Hours (PDHs) by Florida, North Carolina, and New York. Another 38 states have adopted them for the National Council of Examiners for Engineering and Surveying (NCEES) Model Rules for continuing professional competency. The courses can also help people prepare for Safety Certification for Transportation Project Professionals™ (SCTPP) certification. While online training is convenient and effective, sometimes there is no substitute for live instruction. ARTBA’s foundation has developed numerous industry-specific classes that are popular with workers and proven to improve safety. For example, runovers and backovers remain the largest cause of death and injury in transportation construction. ARTBA’s training on preventing such incidents includes Internal Traffic Control, Safe Backing and Spotting, and Blind Spot Recognition. We also provide roadway-focused classes and information on fall prevention, working outdoors, and other safety topics. 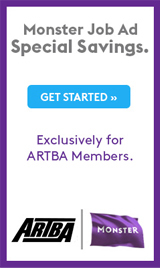 ARTBA trains about 7,000 people every year in these face-to-face classes. And if we can’t get to your workers, we are developing more “Train-the-Trainer” classes so members can use our products to train their employees. Training is only helpful if it is remembered and used on the transportation project site. That’s why ARTBA spent over five years developing the SCTPP program. Now, industry leaders and workers can demonstrate that they understand and remember what they were taught by obtaining the certification after passing a comprehensive test. In May, SCTPP earned international accreditation by the American National Standards Institute (ANSI). ANSI accreditation of the SCTPP program is a major development. It is aimed at a wide industry audience. More importantly, please make the commitment to enroll as many of your employees in the program as practicable. ARTBA’s sphere of safety offerings continues to grow and evolve to meet the ever-changing needs of the transportation construction industry. We are committed to do all in our power to enable our members and their employees to have the information and resources necessary to work safely. We will not stop until we reach zero injuries and fatalities.